Third party risk is a constantly evolving field and it's critical to take into account recent best practices in order to be as prepared as possible. 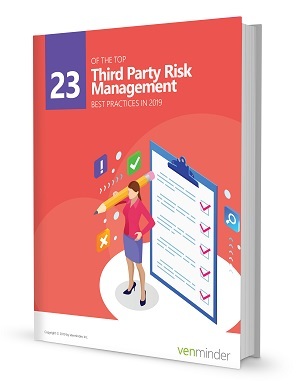 To assist you, we've put together an eBook of our top 23 third party risk management best practices that you can use to be more successful in 2019. Download your copy of the eBook to get started on improving your vendor management efforts.